When considering choosing a restaurant or a coffee shop for an business event or a private gathering, there are a lot of things to consider, whether if the style of the restuarant matches our event theme, or does the food provided by the restaurant matches our guest taste. 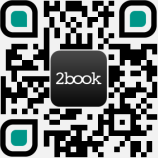 At 2book, we offer a wide range of selection of restauant for you. Our photos in each of the restuarant venue and coffee shop venue shows many detail information of the venue, including the size, decoration, furnishing, food quality and such. We understand that finding a good location is just the first step, and there are much more to consider. Browse through our restaurant and coffee shop venue listing today to get the best venue. Finding the right restaurant is about more than just discovering a space good enough for you and your guests. You need a place that fits in with sensation that you are expressing throught the event. Find your next venue on our listing today.